Everyone has their own idea of what constitutes a ‘big lake’. 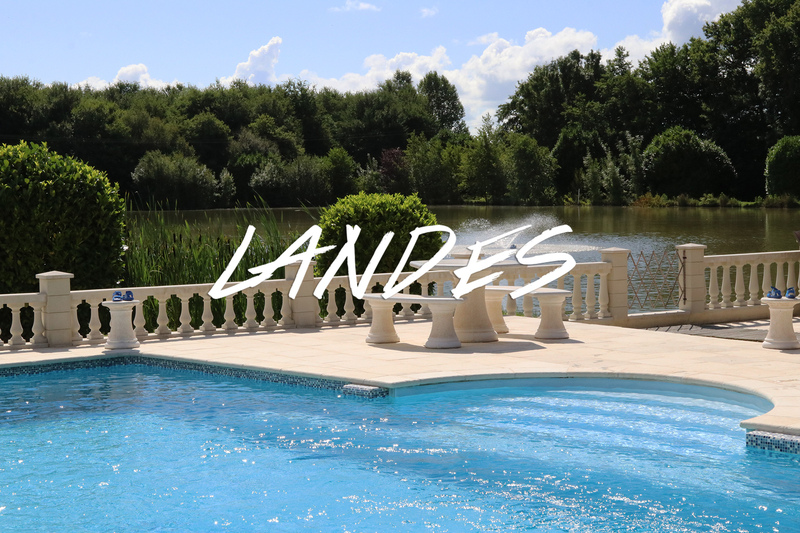 But if you’re limited to one or two French carp fishing trips each year, I’d counsel that the inland seas – the likes of Cassien and LacD’Orient – may be, quite literally, a bridge too far. 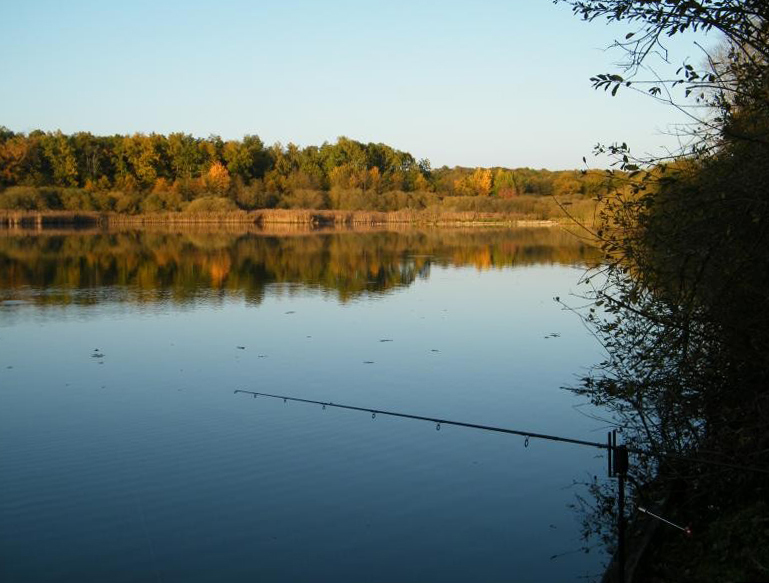 Angling Lines has a number of venues of up to 40 acres or more to choose from. Which, for most of us, should be challenge enough. 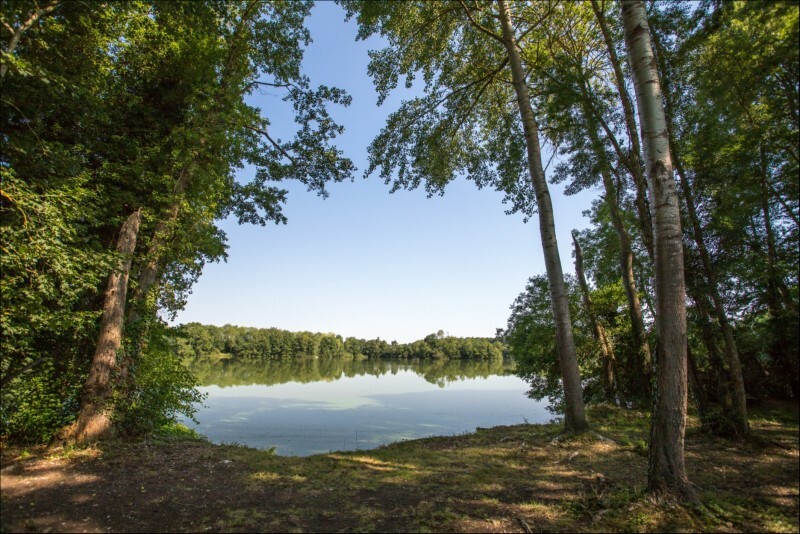 The thought of taking on any 20-acre plus water for the first time can be daunting for any carp angler. Doing so ‘sight-unseen’ – with just a few days at your disposal – is more daunting still. That said, once you learn to break the challenge down into manageable ‘chunks’ – individual areas of water – you’ll soon find that these kinds of venues can be easier to fish than more intimate ponds; where the carp, having fewer hiding places and loads of angler pressure, wise-up fast. By contrast, carp on big pits are able to quickly evacuate areas where they feel pressured; making a beeline for the sanctuary of the snags, or the centre of the lake, which anglers are unable to reach. Unless that is they are equipped with a boat. 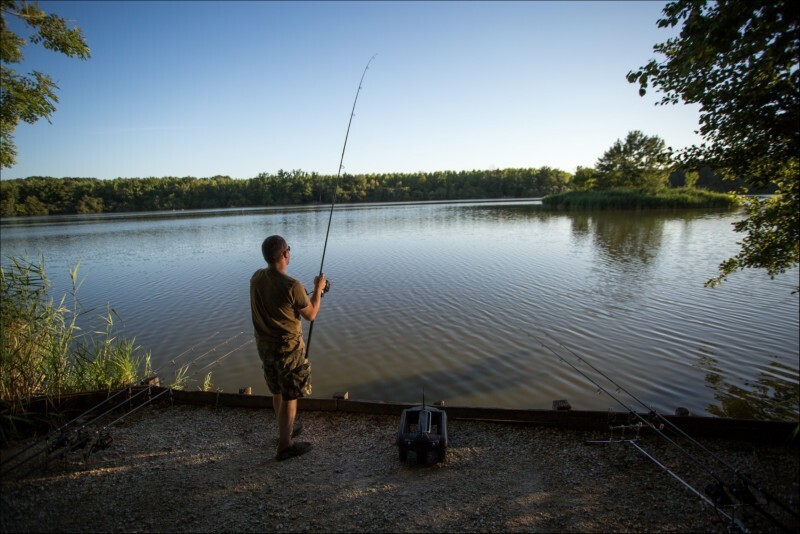 On waters such as the 40-acre Salles lake -where boats are both welcome, and available to hire – you’ll find taking to the water can add a whole new dimension to your angling experience; and ramp your catch rate, too. Use of a boat enables you to quickly get to grips with the topography of the lake; to bait up accurately; and to position your baits ‘just so’ and at range. To safely play and land fish, too. And the best bit is: a robust and reliable boat and suitable life jacket (no comment necessary) need not cost you the price of your holiday. Most folk travelling to France opt for an inflatable dinghy, which won’t take up a great deal of space, and eliminates the need for a trailer (not to mention additional ferry costs). Best known amongst the UK carp fishing fraternity are those on offer from Fox. And they’re great. Great; but not overly cheap – running to £700 plus. Same applies to the various foldaway boats which, though rigid and easy to transport, run to four figures and more. Shop around, however, and you’ll find some attractive deals. For my part, I’ve used the same dinghy for many years without incident. It’s rugged, with a rigid floor; compact for easy transportation; quick and easy to inflate; and cost me somewhere south of £250. For obvious reasons, most lakes only allow electric outboards. They’re quiet, lightweight and polar bear friendly. The downside: you need – rather less lightweight – leisure batteries to run them; and batteries don’t last forever. Meaning you’ll get through a few during the course of a week long trip. Accurately ‘markering’ acres of water takes time. So, with only a few days’ angling at your disposal, an echo sounder is worth its weight in gold. And the good news nowadays is that they are very reasonably priced – whether you elect for a traditional Hummingbird or Eagle unit; or one of the new style castable Deeper or Lowrance models. Both will enable you to quickly build a detailed picture of the lake bed – the depths, substrate, plateaus etc. – and determine where best to position your markers. 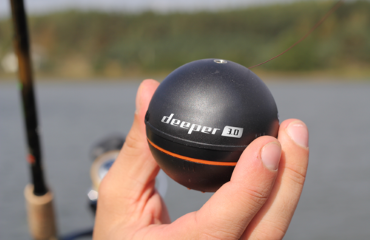 In turn, those markers come in a range of shapes and sizes and should be selected based on the water depth and prevailing conditions – from the traditional H-Blocks from the likes of Gardner Tackle, to marker poles available from Atropa and others, both of which are designed to be visible at range. Something you might also consider is the use of a walkie-talkie, which makes communication with friends on the bank far easier – eliminating the need for yelling and/or animated hand singles – and allowing you to coordinate your efforts to quickly locate areas that may be more apparent from the bank than up close in the boat. Best advice, once you’ve identified a few likely spots, is to try fishing at a range of depths and distances – next to features, in old stream beds, roadways, and so on – till you’ve gauged the mood and preferences of the carp. Your boat and sounder will enable you to cover all the bases – with subsequent action (or otherwise) from the fish informing your approach for the remainder of your session. Though you may find it a little alien at first, using a boat gets easier with time and experience, soon becoming second nature; to the extent that – for many anglers; especially those targeting larger waters – casting actually becomes a last resort. Previous post link Targeting cold-water carp? Play dirty.